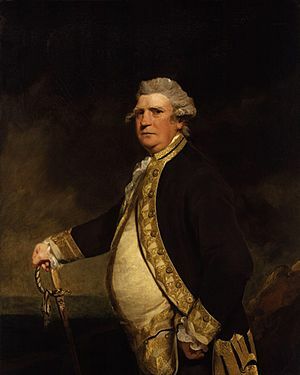 Sir Joshua Reynolds (16 July 1723 – 23 February 1792) was an English painter, specialising in portraits. 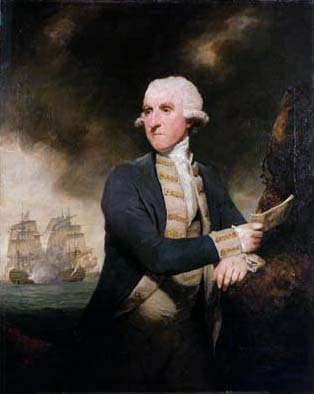 John Russell said he was one of the major European painters of the 18th century. He promoted the "Grand Style" in painting which depended on idealization of the imperfect. He was a founder and first president of the Royal Academy of Arts, and was knighted by George III in 1769. Reynolds was born in Plympton, Devon, the third son of the Rev. Samuel Reynolds, master of the Plympton Free Grammar School in the town. His father had been a fellow of Balliol College, Oxford, but did not send any of his sons to the university. One of his sisters was Mary Palmer (1716–1794), seven years his senior, author of Devonshire Dialogue, whose fondness for drawing is said to have had much influence on him when a boy. In 1740 she provided £60, half of the premium paid to Thomas Hudson the portrait-painter, for Joshua's apprenticeship, and nine years later advanced money for his expenses in Italy. Reynolds died on 23 February 1792 at his house in Leicester Fields in London. Reynolds was buried at St Paul's Cathedral. In 1903, a statue, by Alfred Drury, was erected in his honour in Annenberg Courtyard of Burlington House, home of the Royal Academy. Around the statue are fountains and lights, installed in 2000, arranged in the pattern of a star chart at midnight on the night of Reynolds' birth. Joshua Reynolds Facts for Kids. Kiddle Encyclopedia.